We made a trip to the Old Airport Beach in Kailua-Kona for a couple photos. This location is very secluded and a bit rugged. 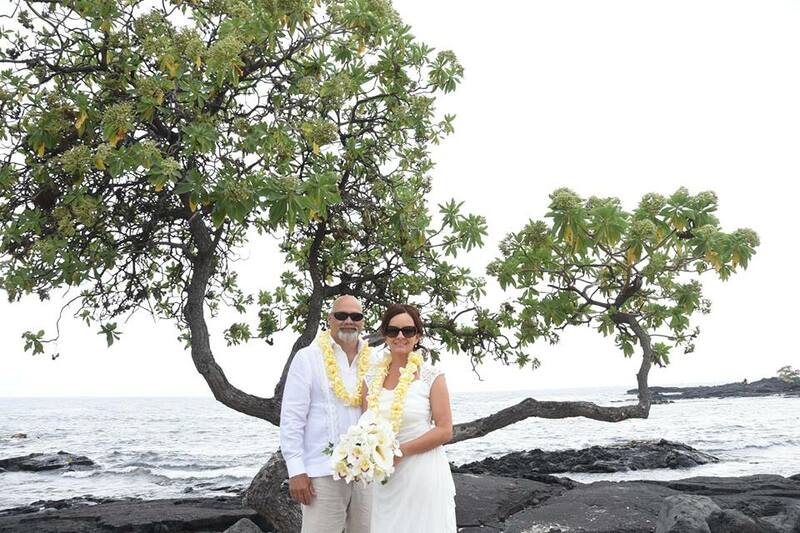 Most of our Kona weddings are at Hapuna Beach up north, but we're happy to use this location for couples who prefer to stay closer to Kailua-Kona. It was a voggy day in Kailua-Kona (volcanic smog). Notice the white sky instead of blue. Waikoloa usually gives us a better color sky. Wind direction makes a difference too.